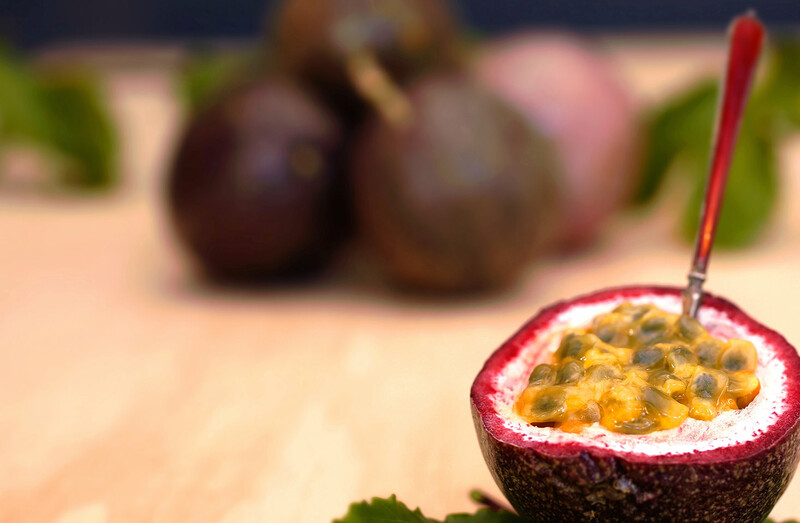 Aussie passionfruit is an exotic fruit that is available in store all year round. If you would like to grow your own passionfruit vine at home, or you’re having trouble with an existing vine, please scroll through our FAQs. If your question isn’t answered, you can reach out to the team on our Facebook page, or ask your local nursery for more information. What variety is best for cool climates? The most common backyard variety, bred to withstand cooler temperatures, is the Nellie Kelly. This variety grafts popular passionfruit vines onto a hardier rootstock vine making them less susceptible to disease, pests and frosts. You can find tips on how to grow it here http://www.nelliekelly.com.au/passionfruit.html. What variety is best for temperate and tropical climates? Our commercial growers recommend purple varieties for temperate regions such as Northern NSW and Panamas for more tropical regions such as Central and Far North QLD. Is it true you should try to grow vines north to south? It is a good idea to plant vines from north to south. Most commercial vines run north to south allowing them to get sun on both sides throughout the day. What area of my yard should I plant a passionfruit vine? To assist growth, plant your vine in a warm, sunny, sheltered spot with fertile soil. Ensure you water your vine regularly and feed it seasol fertilizer approximately every 6-8 weeks. When is passionfruit in peak season? Purple passionfruit usually experiences peaks during summer, autumn and winter, depending on conditions. Panamas come into peak season earlier than the black varieties, so the spring can be fruitful for this variety. My vine has plenty of flowers however it is not producing fruit. What can I do to help passionfruit develop? Why are my vines full of fruit with no pulp inside? What can I do to develop more pulp? This could be due to ineffective pollination where not enough pollen has been transferred from the stamen to the pistil to set a pulp-filled fruit. This can occur when there is a lack of bees or insects around to assist pollination and can sometimes happen in heavy rainfall or high/low temperatures. You could try using a small paintbrush to spread pollen in the flower to pollinate them yourself. Do you need a male and female plant to produce passionfruit? No. All passionfruit flowers have a male part (stamen) and female part (pistil) which both play a part in pollination. How long does a passionfruit vine take to produce fruit? Passionfruit vines can take anywhere between 5 – 18 months to fruit, depending on variety and conditions however they usually develop fruit within a year. It helps to plant the vine in spring, so the vine has time to develop in warm conditions and defend itself in the cooler months. If you plant after the new year, the vine might be too young to fight the winter chill. How long does passionfruit take to ripen? The Sweetheart variety can take 2-3 months to ripen in summer while the Nellie Kelly variety, suitable for cooler climates, can take a little longer. You can tell when most purple varieties are ripe as they drop off the vine and onto the ground. Ripe fruit that are left on the ground may get sun burnt so make sure you regularly collect the fruit. With Panama passionfruits, pick them off the vine when they are deep in colour, heavy for their size and come off the vine easily. You can always taste test one to see if they’re ready! A pest is eating my vine. Would you recommend any products to stop this? There are many products available to combat pests such as snails and insects. White oil can be a good option for keeping pests under control. If your vine is mature and treated with white oil, it should bounce back and increase growth in the warmer months. For bigger pests such as possums and rats we recommend visiting your local hardware store or nursery to find out which product is best for you. How do I get rid of weeds and suckers from my vine? My vine is getting old. When should I replace it? It’s best to replant new vines every few years or when your vine is starting to look tired and old. As a guide, our commercial growers replant every three years to ensure they get optimal fruit from a crop. My passionfruit vine is taking over another plant in my garden, how can I stop this? Prune your vine back so that it is not in the way of other plants. The best time to prune is in spring as new growth resumes. How do I get rid of my vine? Try cutting the base of the vine a few inches from the ground and spraying the vine with roundup or a similar herbicide. If you don’t wish to use herbicides, cut off the stalks and cover them with paint tins or plastic containers so they don’t have access to light and die. Horticulture Innovation Australia Limited (Hort Innovation) is a not-for-profit, grower-owned Research and Development Corporation (RDC) for Australia’s $9.5 billion horticulture industry. HIA invests more than $100 million in research, development and marketing programs annually.